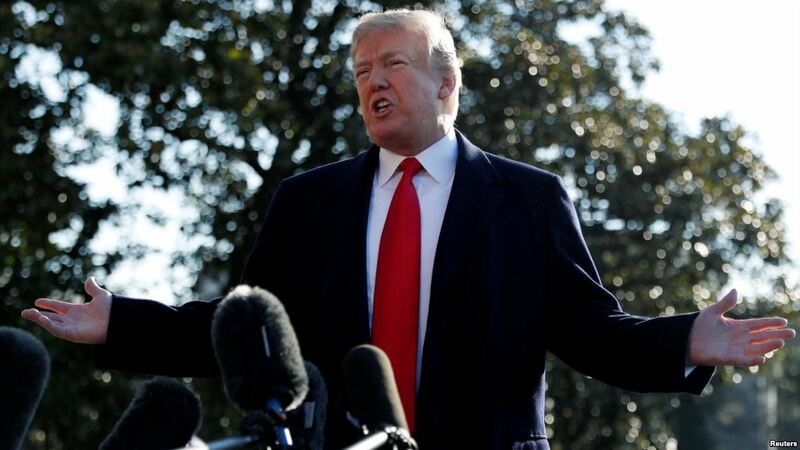 U.S. President Donald Trump has used an annual message to Iranians and others celebrating Norouz, the Persian New Year, to sharply criticize Iran’s government and the powerful Islamic Revolutionary Guards Corps (IRGC). “I wish a beautiful and blessed Norouz to the millions of people around the world who are celebrating the arrival of spring,” Trump said in his message late on March 19. He said the IRGC had spent more than $16 billion to prop up Syria’s government and support Shi’ite militant groups in Syria, Iraq, and Yemen. He also accused them of impoverishing Iran’s people, damaging its environment, and suppressing civil rights. The harsh language contrasted with Trump’s Norouz statement last year, which made no mention of politics. Norouz is Iran’s biggest holiday and is celebrated with family gatherings, vacations, and gift-giving. It is also celebrated in Muslim countries and communities bordering Iran and elsewhere around the world. The U.S. State Department on March 19 issued a more traditional Norouz greeting but used the occasion to praise Iranians who earlier this year staged street protests against the government that fizzled out after being suppressed by authorities. “In the past year, I have drawn inspiration from the Iranian people who are making their voices heard by protesting for freedom, dignity, and respect for human rights,” Deputy Secretary of State John Sullivan said. “The United States supports those seeking to reclaim their fundamental freedoms of expression, religion, and peaceful assembly,” he said. “Norouz is a time to reflect on our hopes for the future. May the coming year bring peace, freedom, and prosperity to all,” Sullivan added.